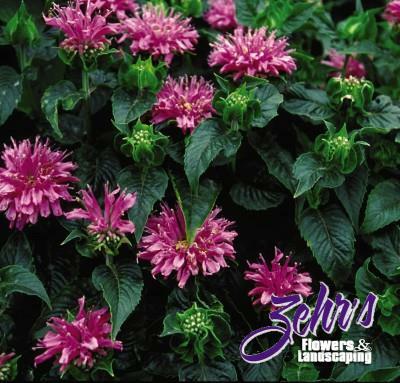 The first in a series of dwarf Monarda selections from the Morden Research Station in Canada. 'Petite Delight' blooms in midsummer with lavender-rose flowers atop a mound of dark green, crinkled and highly mildew resistant foliage. The very compact form is excellent for the front of the perennial border. Moist, well-drained soils are best.